Quote Reply Topic: What Happened? Well, now she's done it. In Hillary Clinton's new book "What Happened" she takes direct aim at Senator Bernie Sanders, blaming him for setting up the Trump campaign with the very attacks that sank her on Election Day, according to excerpts posted by CNN. She even says Sanders big progressive promises made it impossible for her not come off like the bad guy just for being more honest and responsible. All this proves is that she's got it all wrong, even after all this time. But Clinton, and even Democrats as a whole, aren't the only deluded ones. Based on what we keep hearing and seeing from the established leaders of both parties and most of the Washington press corps, the inability to figure out what happened in 2016 is a pretty common affliction. The simple facts are these: Senator Sanders enjoyed so much success in the primaries and Donald Trump won the election because they both tapped into widespread voter anger against the very establishment Hillary Clinton represented. And to top it all off, they both were simply more convincing and persuasive as campaigners than Secretary Clinton ever was or could be. Think about it. Was there ever a time when Sanders or Trump didn't sound authentic and angry when they were on the stump? Love or hate them as candidates, they sure seemed like they were speaking from the heart. And their hearts were eerily as angry as a critical mass of American voters. By contrast, Clinton ran anything but an ad-libbed campaign with everything from her speeches to her tweets looking like they had been vetted by a team of advertising experts for weeks before seeing the light of day. The Clinton campaign's repeated claims of how "experienced" and "presidential" Clinton was just made the case stronger that she was indeed part and parcel of the "establishment." It also made her come off as if she was perhaps unaware of the real concerns and anger so many voters hold to this day. The Democrats and establishment liberals in general might want to start fixing this by following Sanders' personal example instead of bashing him. The latest Harvard-Harris poll shows Sanders is the most popular active politician in America. 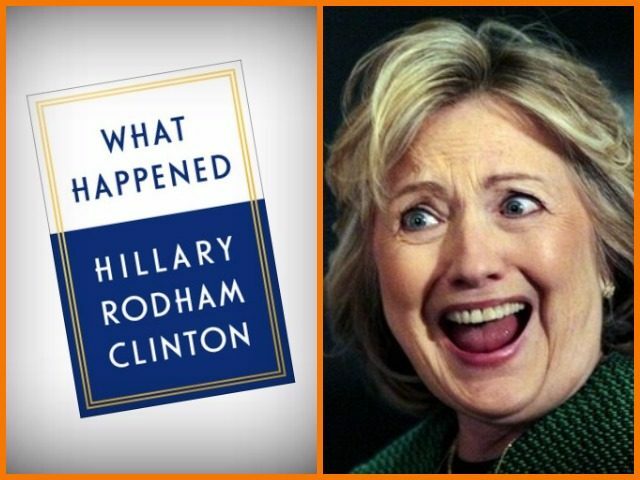 Leave it to Clinton's bad timing to release a book blaming him for losing the election just as that poll was released. Sanders isn't so popular because of his great looks and Brooklyn accent. It's because he repeatedly stands up for working class Americans. His solutions for their challenges often don't make economic sense and his attacks on corporate America aren't always fair, but he sure seems like the last Democrat fighting for the Democratic Party's traditional base. And it's that fight for something as opposed to just fighting against President Trump that's keeping him more than relevant now. Voters have always wanted to see someone in government fighting for them. What they too often see are politicians and corporate elites speaking out for "dreamers" effected by DACA, or refugees from foreign countries. That is not to say these Americans are heartless people, and Sanders has indeed spoken out for these non-citizen groups on many occasions as well. But his primary persona is one of a fighter for Americans, and effective fighters are usually angry. Speaking of fighting, Clinton says in the book that President Obama held her back from fighting back as hard as she wanted to against Sanders during the primaries: "President Obama urged me to grit my teeth and lay off Bernie as much as I could. I felt like I was in a straitjacket." That claim may be true, but that again brings us back to Clinton's abilities as a persuasive speaker. That's a subjective test in many ways, but it's simply irrefutable that Clinton was and still is a more reserved and traditional public speaker than Sanders or President Trump. And when you need to fight, reserved and traditional aren't always the best weapons. President Obama didn't hamper her fighting abilities, she's never really used them anyway. The reality is, America wants a major fight. The new NBC/Wall Street Journal poll shows how deep and severe political divisions are in this country, and they're rooted in issues and events that have nothing to do with President Trump. What the political and media establishments don't get is that they all lost the election more than Donald Trump won it. It's probably impossible to prove or even ask about this question in a reliable poll, but Trump's victory was more about people voting against Clinton and all of Washington than people actually voting for him. His stubbornly high unfavorable poll ratings give us more than a hint that this is true. But by continuing to attack him instead of changing their message, all of establishment Washington does nothing to improve its fortunes or esteem among the voters. The good news for the Democrats is that Hillary Clinton's new book is an excellent example of what not to do and say for the next four years and beyond. "What Happened" tells us that Clinton hasn't learned much in the last ten months. Let's see how many of her peers are more perceptive. The DNC proved that democracy at the federal level is a sham. But we; As a nation still love to harp on voting. So every few years it's fun to argue over who wins and loses. And now, Mrs. Clinton gets to turn a loss into a multi-million dollar book deal. Carlin would be having a field day with Hillary. And our current reality show spokesman POTUS. That is the best stand up bit of all time. But more than that; it the the most honest social commentary ever spoken. Thank you Mr. Beagle for posting that. I wish that were shown in high school social studies courses. January 2008. The best social critic to date, and a stand up comedian. Very true words. RIP George Carlin.